Buy a Business: How do you finance a business acquisition? Speaking of how to finance a business acquisition, I read an article the other day about a “crisis” in the penal colony down under. Under the headline “Warning SMEs won’t be able to sell their businesses unless access to finance improves”, the article states that the small business ombudsman – who is actually a woman – has launched an inquiry into access to capital for SMEs (which may mean Small and Medium size Enterprises, Small Minority Enterprises or maybe even Services for Marginal Employees). 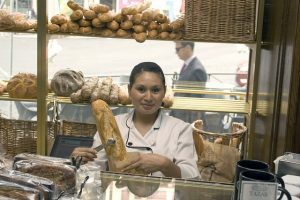 The claim is that unless Australia tackles “barriers to business loans”, small business operators – “Mom and Pops” in our parlance – could struggle to sell their businesses because of a lack of potential buyers. After reading the rest of the story, one presumes that the phrase “financially qualified” should have appeared in front of the word “potential” because this is essentially an inquiry into why people with no money are finding it difficult to finance a business they want to buy. Seriously! There are plenty of buyers for businesses that are making money. There are even some buyers for businesses that are hemorrhaging money. Why the government feels it must launch an inquiry into the fact that some people who want to buy a business are unable to because they don’t have any money is beyond me. It’s simple: it’s because they don’t have any money! Good Grief! Let’s Start With the Basics. Anyone who has ever bought a house, a commercial property or a business and used conventional financing knows that the bank wants the borrower to have some skin in the game and some assurance that the borrower will pay back the loan. For someone without any capital or property to be surprised that a bank won’t lend to them is astonishing. For a government agency – or anyone with a three-digit IQ, for that matter – to feel that a nationwide inquiry must be launched to find out what the problem is, is ludicrous. A well-qualified buyer will generally need to put personal capital amounting to at least 25% of the purchase price – and sometimes as much as 50% – into the deal before the bank will consider lending the rest. And “the rest” is going to have to be secured with some asset or group of assets that the bank can come after and sell to recover its investment if the borrower can’t repay the loan. Why a poorly-qualified buyer – or anyone in government that possesses the necessary mental and physical coordination needed to tie their shoe laces – can’t understand why a bank would hesitate to lend to them, borders on the incredulous. 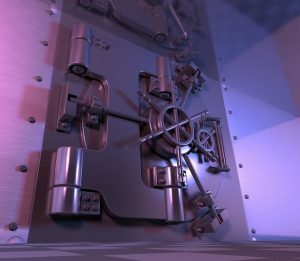 What is a Bank – and Why Won’t It Lend? A bank is supposed to be a safe place for savers to put their money. Banks pay very low interest on savings for the simple reason that they guaranty that the deposits will be returned. This can only be done if money they take in as deposits is lent out in very safe, very low-risk investments. Small businesses, especially the Mom and Pop kind, are not generally considered to be “low-risk investments”. But banks – or any lenders, conventional and non-conventional – don’t invest in businesses; they invest in individuals. And if an individual shows up at the bank with no money, no property and no assets, the banker will probably come to the conclusion that this particular individual represents a greater risk to the banker’s depositor’s capital than his depositors would tolerate. Why this is surprising is puzzling. Why it deserves a government inquiry is staggering. Have Ya Got a Plan, Mate?? To illustrate the difficulty of acquiring capital, the article used, not an example of an actual attempt to actually BUY a business, but a great example of an actual business that was trying to grow. The article quoted a finance broker as saying, “I had a client about eight years ago, in the specialised (sic) field of a pilot training school. They had a small fleet of aircraft but they were older, and they knew if they could update their fleet with new aircraft, it would attract more students…” Note that this example has absolutely nothing to do with buying a business. And, as the story proceeds, you’ll see that it also has nothing to do with a shortage of capital in the market or the unwillingness of the bankers to lend. Kick it up, Bucko! Make ’em WANT you! The applicant was originally turned down by one of the country’s “big four” banks – ostensibly because the bankers didn’t understand the industry or the assets, a claim that is somewhat hard to believe. But it wasn’t until our intrepid pilot was turned down that he began to work with the finance broker to develop a detailed business plan. Six weeks later, armed with said detailed business plan, the business owner again took to the field of battle and shortly thereafter scored the necessary funding from another one of the “big four”. Does this story tell us anything about lenders being unwilling to lend to folks that want to buy a business? Of course not! This example suggests that the government, instead of launching an inquiry into why lenders won’t lend to people without money or collateral, should launch one into why business owners or buyers needing to borrow funds, expect to do so without presenting the lender with a detailed plan on how the money will be paid back. This is elemental business conduct, Dr. Watson! There are dozens of sources from which to raise the capital a business – or a business buyer – needs but the borrower has to convince the source that it will eventually get its money back. And if you need that capital, the most elemental and indispensable tool to get anybody to even look at the opportunity is to start your quest with a detailed business plan that clearly shows whoever reads it how their money is safe in your tender hands. “The dilemma comes with the fact that the banks are generally good with up to $50,000, which is sort of like a credit card. The fintechs say they lend ‘up to $250,000’, but generally they don’t. So if you’re looking to buy an existing business, and you don’t have the ‘Bank of Mum and Dad’ or equity in property, you have absolutely nowhere to go,” says the ombudsman. This creates flow-on effects right through the small business ecosystem, because without willing buyers, many business owners who had planned on selling their business to fund their retirement have few options on the table. The very premise of the article is that there are tons of willing buyers – just not ones with any money! There are dozens of options. And what you arguably need more than willing buyers are willing sellers. In the United States, more than 80% of small business transfers are done with some level of seller financing. In many small business sales, the seller will provide ALL the financing for the buyer. And this is true for most areas of the world. Put yourself in the seller’s position for a moment. If he or she does not have enough confidence in the business or the buyer to provide the financing, why in the world would the seller think that a bank would?? 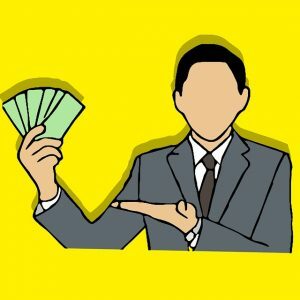 We start every initial seller interview by advising them of this fact and letting them know that, aside from putting an accurate valuation on the business, the success of our effort to sell their business will depend, in no small part, on their willingness to participate to some level in the financing. In fact, banks will often look more favorably at a deal if the seller shows enough faith in the buyer and the business to provide some of the financing. My bet is that every one of the profitable businesses that Ms. Ombudsman believes cannot be sold, would be sold in a matter of weeks if the sellers would help in the financing and if the business is priced properly. Seller financing, family and friends, social groups, local investors, small groups of wealthy individuals in the community are all legitimate sources of capital. Of course, if the seller was using an experienced professional business broker, it is likely that the broker would have several sources of financing lined up for the buyer to meet with. There are dozens of sources of financing for the acquisition of nearly any business. In fact, there’s a book…. That’s right, bucko. About 20 years ago – in the late ’90s – I wrote a book – The Money Book – on how to finance a business. It was originally intended for startups but is equally applicable to buyers of businesses; and it’s generally MUCH easier to finance the acquisition of an existing business than the startup of a new business. That book is a little out of date by now but I’m thinking of updating it, making it more pertinent to business buyers and making it available to my subscribers. It includes descriptions of the different kinds of capital available, how to determine what kind is most appropriate for you, where that capital can be found, how to approach those that have that capital, what to expect that capital to cost you and how to negotiate for that capital. It is, essentially, a road map to get you from wherever you are to the capital you need to buy – or start – a business. If enough of you are interested in getting a copy of this roadmap, I’ll start on the upgrading next week. Well, the first step is to let me know if you’re interested in the upgraded version of The Money Book. However, if you’d rather have some direct help, we’ve raised and helped others raise millions of dollars over the years and can probably help do so for you. If that is your preference, let me know in the comments box below. In the meantime, if you’re a buyer, use a little common sense if you want to borrow some money to acquire a business. Don’t expect anyone – let alone a banker – to lend you the money based on your good looks and charming personality. And if you’re a seller, if you believe in the business and the buyer, I urge you to seriously consider helping that buyer take over your business and send you a check every month for the next five or 10 years. If you have any questions, comments or feedback on this topic – or any topic related to business – I want to hear from you. Put them in the Comments box below. For example, if you want to buy – or start – a business, what is your biggest concern about the process? Let me know. Start the conversation and I’ll get back to you with answers or my own comments. If I get enough on one topic, I’ll address them in a future post or podcast. I’ll be back with you again next Monday. In the meantime, I hope you have a profitable week!